WASHINGTON, D.C.—President Barack Obama has expelled 35 Russian intelligence agents, shut down two Russian compounds in Maryland and New York, and released information about that country’s civilian and military cyber activity, measures Congressman Jim Langevin praised while imploring President Elect Donald Trump to end his denial that Russian hackers interfered with the 2016 Presidential election. “Interference in our electoral processes cannot be tolerated, and I am encouraged that President Obama is taking steps to respond to Russian attempts to undermine faith in and influence the 2016 federal elections. In particular, I commend the President for using a full range of response options, including economic, diplomatic, and cybersecurity actions. As nations increasingly use hacking and other cyber operations to advance their objectives, it is imperative that the United States respond firmly to attacks targeting our interests,” Langevin said. In a statement posted to whitehouse.gov, Obama announced he also sanctioned nine entities and individuals: the GRU and the FSB, two Russian intelligence services; four individual officers of the GRU; and three companies that provided material support to the GRU’s cyber operations. Those companies, according to a press briefing transcript also posted today, are the Special Technology Center St. Petersburg, Zorsecurity, and the Autonomous Noncommercial Organization, (ANO PO KSI) — which have provided cyber services and training to the GRU. The Secretary of the Treasury is also designating two Russian individuals for using cyber-enabled means to cause misappropriation of funds and personal identifying information. The briefing transcript identifies those individuals as Evgeniy Bogachev and Aleksey Belan, described as notorious cyber criminals responsible for havoc in the international financial system, including against American companies. The State Department is also shutting down two Russian compounds, in Maryland and New York, used by Russian personnel for intelligence-related purposes, and is declaring 35 Russian intelligence operatives as “persona non grata”. The Department of Homeland Security and the Federal Bureau of Investigation are also releasing declassified technical information on Russian civilian and military intelligence service cyber activity, to help network defenders in the United States and abroad identify, detect, and disrupt Russia’s global campaign of malicious cyber activities. “The President’s actions are also notable because they have a deterrent effect beyond the punishment of Russians directly involved with or supporting the information warfare operation. By releasing formerly classified threat indicators, the Department of Homeland Security and FBI have exposed Russian hacking infrastructure and made it much easier for individuals and businesses around the world to protect themselves from Russian aggression. I strongly encourage network administrators to read the Joint Analysis Report hosted by the U.S. Computer Emergency Readiness Team and take action to protect their systems,” Langevin said. Obama effected the actions by amending the Cyber Executive Order, originally issued originally in April 2015. President Elect Donald Trump, who has denied Russian interference in the election, has said the country should move on, but told the New York Times he would discuss the issue with intelligence officials. Langevin said the actions were important to show Russian officials that interference in American institutions and elections will not be brushed off without a response. “However, we must continue to investigate ways to improve our resiliency and protect ourselves from future such operations, which is why I again call on Speaker Ryan to empower a Select Committee on Cybersecurity to look into the attacks. I also hope that the President-elect will use this moment to stop his utterly unfounded innuendo that that there is any uncertainty regarding Russian involvement in the hacks,” Langevin said. WEST PALM BEACH, Fla. — President-elect Donald J. Trump has named Thomas P. Bossert, a top national security aide under President George W. Bush, to be his homeland security adviser, the Trump transition team announced Tuesday morning. Mr. Bossert will become assistant to the president for homeland security and counterterrorism, a position the transition team said would be equal in status to that of Lt. Gen. Michael T. Flynn, whom Mr. Trump has chosen to be his national security adviser. The same position under President Obama has been a deputy national security adviser. The change in rank “reflects the unwavering commitment President-elect Trump has to the safety and security of the nation, its people and territory,” the transition team said in a statement. “Mr. Bossert will focus on domestic and transnational security priorities as General Michael Flynn remains steadfastly focused on international security challenges,” it said. Officials on Mr. Obama’s national security team challenged the assertion that Mr. Bossert had been elevated to a higher position than his counterpart in the current administration, Lisa Monaco, who also has the title assistant to the president. A senior national security official, who spoke on the condition of anonymity to discuss personnel matters relating to the incoming administration, noted that Ms. Monaco was the chairwoman of the Principals Committee of the Homeland Security Council, had a seat on the National Security Council and participated alongside the national security adviser during daily national security briefings for Mr. Obama. The new designation for Mr. Bossert may suggest a desire by the new administration to reconfigure the national security apparatus at the White House. Before Mr. Obama, the homeland security adviser oversaw a staff that was separate from the one run by the national security adviser. Mr. Obama combined those into a single, unified staff when he came into office. Mr. Trump may be thinking about splitting them again. In the statement, Mr. Trump called Mr. Bossert “an invaluable asset” and praised the breadth of experience he would bring to the new administration. “He has a handle on the complexity of homeland security, counterterrorism and cybersecurity challenges,” Mr. Trump said. Mr. Bossert served as deputy homeland security adviser for Mr. Bush, and he runs a risk management consulting firm in Washington. He is also a senior fellow at the Atlantic Council, working on the research institution’s Cyber Statecraft Initiative. Helping to protect the country from cybercrimes is likely to be a major focus for Mr. Bossert in light of the hacking of the Democratic National Committee and other incidents in recent years. Mr. Bossert will face the challenge of balancing cybersecurity needs against the privacy concerns of internet companies. “We must work toward cyber doctrine that reflects the wisdom of free markets, private competition and the important but limited role of government in establishing and enforcing the rule of law, honoring the rights of personal property, the benefits of free and fair trade, and the fundamental principles of liberty,” Mr. Bossert said in the statement announcing his appointment. News of Mr. Bossert’s selection drew praise from some members of Congress and former colleagues in the Bush administration, who described him as capable and knowledgeable about threats to the country. 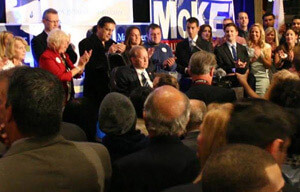 Representative Jim Langevin, Democrat of Rhode Island, also praised the choice. Mr. Langevin, a founder of the Congressional Cybersecurity Caucus, said Mr. Bossert had approached the issues of cyberthreats in a “centrist, bipartisan” manner. “I also hope that he will impress upon the president-elect the vital national security concerns tied to Russian information warfare activities, and I encourage him to work closely with Congress in attempting to build our resilience and our defenses to forestall such operations in the future,” Mr. Langevin said in a statement. She focused in particular on Mr. Bossert’s expertise in another key part of the job: responding to natural disasters and other crises that require coordination among the White House, governors and other state officials. In a brief text message, Ms. Townsend called Mr. Bossert a “great pick” and recalled that he had helped lead the “after-action review” after Hurricane Katrina in 2005, helping to create more than 100 recommendations about how to better respond to such crises. “Tom knows the importance of public-private partnerships and most importantly how best to establish and strengthen them,” she said. “He has a history of negotiating substantial, complex transactions on my behalf, as well as the expertise to bring parties together and build consensus on difficult and sensitive topics,” Mr. Trump said. As the president’s special representative, Mr. Greenblatt is likely to focus on peace between the Israelis and the Palestinians, renegotiating trade agreements and the relationship between the United States and Cuba, among other international issues. A two-year attempt to change the language used in relation to export controls around surveillance software and other hacking tools has collapsed after the US government failed to renegotiate parts of the Wassenaar Arrangement. The Wassenaar Arrangement is an arms control pact between 41 countries. While most of this refers to conventional arms, in 2013 it was broadened in scope to include surveillance software—or intrusion software as it’s branded in the agreement. This wording banned the export of software that could be used to conduct cyber warfare, in particular, tools to exploit and attack vulnerable IT infrastructure. These changes were set to be implemented by member countries last year in a bid to prevent repressive regimes from gaining access to commercial malware. Critics have labelled the current language in the agreement as too broad as it includes tools that IT professionals use on a daily basis, such as penetration testing tools and other legitimate security software. It also includes proof-of-concept exploits used during vulnerability research and disclosure. As it stands, the rules as written have not been implemented in the US. With the talks collapsing, it will now be up to the incoming Trump administration to decide whether to continue renegotiations. It was hoped that the talks would have clarified matters allowing security researchers to participate in events such as Pwn2Own and share research among professionals and academics. In the US, the bipartisan Congressional Cybersecurity Caucus has urged the incoming administration to continue talks. Stephen Gates, chief research intelligence analyst at NSFOCUS, told SC Media UK it’s well known in cybersecurity circles that ethical hackers, researchers, penetration testers, and security vendors often have tools that can be used to hack, loaded on virtual machines, running on the very laptops they carry. “These tools are used for ethical purposes to demonstrate how hacks work, and what defences can defeat the various hack tools,” he said. This interview was conducted, edited, and condensed by Lars Trodson. 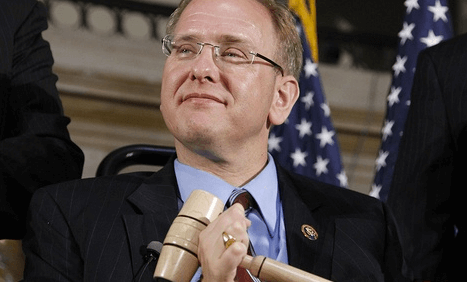 Congressman Jim Langevin, D-R.I., is the co-chair and co-founder of the Congressional Cybersecurity Caucus. He has written to House Speaker Paul Ryan asking Ryan to appoint a Select Committee on Cybersecurity, given the concern over possible Russian interference in the recent Presidential election. We checked in with Langevin to discuss his concerns. Q: There has been a lot of talk about cybersecurity and the hacking that may have impacted this year’s election. Do you personally believe that our electoral system was hacked during this cycle? A: Let’s break this down to three things. There is the issue of the alleged Russian attempts to compromise our voter registration system. Then there is our election system that counts the votes on election day. Three, was there a Russian or foreign entity that impacted our elections by hacking into email accounts and then sending those to Wikileaks, which then sent them out to the world? Clearly the intelligence community is pretty unanimous there were Russian attempts to hack into our voter registrations systems. We don’t believe anything was compromised that would undermine confidence in the election system itself. But our intelligence community and Homeland Security believe there were Russian attempts to do that, to clearly undermine that. Q: Do you personally believe the Russians were involved? A: I do believe that they were poking around to get into voter registration systems. It’s unclear as to how effective that was at the end of the day, to cast a cloud over it, if you will. In terms of the election, we don’t have any evidence — on Election Day — that there was an attempt to meddle with the vote count. We have a disconnected system. It’s diverse, it’s not co-ordinated. Most states don’t have a statewide voter election system. It’s town by town, city by city, or even the county may be responsible for its own voting equipment. There are multiple election systems and none of them are linked to the internet. There is no way to break into the voting system. It’s early to prejudge that the Russians were successful at influencing the outcome of the election. This is what we need to confirm. Looking at everything, I have confidence that the vote count is accurate, but this is really unprecedented. I’ve never seen anything on this scale before, that a foreign power used this type of capability to influence the outcome of an election. But we have to understand all the facts. We have to make sure it never happens again. This is a new attack vector that many people did not anticipate happening, but we need to find out who is involved and hold them accountable. This is why I have called for a Select Committee to investigate those Russian attempts. Q: Do you think the election results are credible? A: Yes. I may not like the outcome, but yes. Q: Do you think there are other entities involved besides Russia? A: I think we should look at everything. I have not seen anything that would indicate it was anyone other than the Russians, but this is what a Select Committee would look at: Look at all information, classified and open source. They should evaluate everything and whatever those findings are, make them available to the American people. I want everything to be transparent for the American people. Q: Did the Obama Administration react strongly enough? A: We’re in uncharted territory, but I always like a stronger response than what the President had, but he said the U.S. will respond at a time and place of our choosing. Some of that response may be known and some of it may not be known. Q: Is there anything that you could be doing, with the committees you sit on, to look at this concurrently with a Select Committee? A: It depends on the route the leadership in congress goes. It’s unclear who will do the review. There are 80 committees or subcommittees that this involves. This cuts across jurisdictional lines, so we need to have a bipartisan committee that cuts across lines, to look at information both classified and open source to get a full understanding of what happened. Q: I think you touched on this, but we can’t overestimate how serious this is. Q: How quickly would you like to start looking into this? A: Immediately. As soon as the new Congress comes back and I will be all too happy to have the Speaker announce the Select Committee, and I would like to be a part of it. Q: Is there anything we haven’t touched on that we should mention? A: I guess the only thing I would underscore is that this is a serious issue, a big deal, it’s unprecedented and we need to understand how it happened and who is responsible and take the necessary steps to send a signal that it won’t be tolerated. We don’t want this to go unanswered. cybersecurity research and development efforts between the United States and Israel. security threats posed by malicious cyber actors who intend to do our nation harm. advance this important fight that is now the law of the land,” Ratcliffe said. foundation for their U.S.-Israel cybersecurity legislation. leader in cyber expertise,” Ratcliffe said. security problems found in the cyber domain. WASHINGTON (AP) — The Obama administration has failed to renegotiate portions of an international arms control arrangement to make it easier to export tools related to hacking and surveillance software — technologies that can be exploited by bad actors, but are also used to secure computer networks. The rare U.S. move to push for revisions to a 2013 rule was derailed earlier this month at an annual meeting in Vienna, where officials from 41 countries that signed onto it were meeting. That leaves it up to President-elect Donald Trump’s administration whether the U.S. will seek revisions again next year. U.S. officials had wanted more precise language to control the spread of such hacking tools without the unintended negative consequences for national cybersecurity and research that industry groups and lawmakers have complained about for months. Critics have argued that the current language, while well meaning, broadly sweeps up research tools and technologies used to create or otherwise support hacking and surveillance software. Rep. Jim Langevin, D-R.I., said in a statement Monday that he is “deeply disappointment” by the plenary’s decision and hoped the incoming administration will continue the effort. Langevin co-chairs the Congressional Cybersecurity Caucus. “U.S. cybersecurity and that of our allies will be imperiled if companies and researchers are not able to quickly share defensive tools,” said Langevin, who co-chairs of the Congressional Cybersecurity Caucus. The White House referred questions Monday to the State and Commerce departments, neither of which responded to requests for comment. As one of those 41 member countries of the 1996 Wassenaar Arrangement, which governs the highly technical world of export controls for arms and certain technologies, the United States agreed to restrict tools related to cyber “intrusion software” that could fall into the hands of repressive regimes. The voluntary arrangement relies on unanimous agreement to abide by its rules on export controls for hundreds of items, including arms such as tanks or military aircraft and “dual-use” technologies such as advanced radar that can be used for both peaceful and military means. The failed effort was a “bummer” said Katie Moussouris, CEO and founder of Luta Security who was part of this year’s Wassenaar delegation as a U.S. industry expert. “If anybody understands how quickly you need to respond to a fire, this would essentially impede the internet’s firefighters if it was left in place,” Moussouris said. But she also noted that such work involving an international body also can take time and finding precise language is critical. The plenary did agree to tighten up language essentially specifying that the rule should apply to attacker code used to command and control malware, not regular computer defense tools that might have been caught in the rule, Moussouris said. Efforts to come up with a workable U.S. rule have highlighted the difficulty of applying the export controls restricting physical items to a virtual world that relies on the free flow of information for network security. Many companies operate in multiple countries and routinely employ foreign nationals who test their own corporate networks across borders. The difficulties with the rule came to light in May 2015 after the Commerce Department’s Bureau of Industry and Security began working on its rule to abide by the arrangement and proposed denying the transfer of offensive tools — defined as software that uses “zero-day” exploits, or unpatched new vulnerabilities, and “rootkit” abilities that allow a person administrator-level access to a system. Because in the cyber world testing a network often requires determining first how to exploit it and attempting to do so. “Exploit code today is relatively routinely shared for purposes of security research and identifying and mitigating security vulnerabilities,” said Harley Geiger, director of public policy for Boston-based Rapid7, Inc., a cybersecurity company which makes software that can test for network vulnerability. Geiger said the rule could require security researchers to obtain an export license when sharing across borders — a process that can take months. President Obama has signed into law a bill aiming to strengthen collaboration on cybersecurity research and development efforts between the U.S. and Israel. H.R. 5877, the U.S.-Israel Advanced Research Partnership Act of 2016 passed the House unanimously last month under suspension of the rules and passed the Senate without opposition during a flurry of last minute activity overnight Dec. 9-10. The president signed it Friday. The bill was one of two introduced in July after Reps. John Ratcliffe, R-Texas and Jim Langevin, D-R.I., visited Israel on a congressional delegation focused on key cybersecurity issues facing both countries, such as protecting power grids from hackers. “I’m glad I was able to work closely with Rep. Langevin to craft legislation to advance this important fight [to protect America from hackers] that is now the law of the land,” said Ratcliffe, who chairs the House Homeland Security Subcommittee on Cybersecurity, Infrastructure Protection and Security Technologies. Langevin introduced that bill, numbered H.R. 5843, with Ratcliffe’s support, but it was not taken up in the Senate. Supporters hope to get it re-introduced, and passed, next year. The other bill, the U.S.-Israel Cybersecurity Cooperation Enhancement Act, would have created a cybersecurity grant program for joint research and development ventures between Israeli and American companies, universities and/or nonprofits. The Homeland Security secretary would determine research requirements with help from an advisory board made up of members from successful U.S.-Israeli partnerships, but they would address research and development priorities across the spectrum from basic to applied to commercialization. PROVIDENCE, R.I. (WPRI) – Johnson & Johnson will establish a new technology office in Providence to develop health-related software, with initial plans to employ 75 people, state and company leaders announced Monday. Gov. Gina Raimondo’s aides confirmed a deal with the Fortune 100 company to locate a new health technology center in the city. The new office will employ high-skill IT workers such as developers and engineers, creating software and running analytics to support Johnson & Johnson efforts to improve health outcomes, they said. Raimondo said she views the potential for Johnson & Johnson in Rhode Island along the same lines as General Electric, which earlier this year reached a similar deal with her administration to put new tech jobs in Providence. Raimondo’s office said Johnson & Johnson will seek nearly $5 million in tax credits over 10 years as part of the deal: $4.1 million in Qualified Jobs Incentive credits tied to the new employees’ income tax payments, and up to $500,000 to subsidize worker recruitment and rent payments. A spokesman said the new office is projected to generate about $775,000 in new state revenue per year. Johnson & Johnson becomes the third major global company to announce plans to put tech jobs in Providence this year, along with GE and Virgin Pulse, which Raimondo suggested is a sign her economic strategy is starting to pay off. All three companies have been attracted in part through incentive programs championed by the governor, at a combined price tag of about $16 million. Steve Wrenn, a Johnson & Johnson global vice president who previously worked at CVS, lavished praise on the state during a news conference at the Providence Public Library that was attended by university presidents, business executives and nonprofit leaders. “Providence is an unknown gem to a lot of people,” Wrenn said, adding that the company was also lured by the new tax incentives created in recent years by Raimondo and the General Assembly. Raimondo acknowledged that providing such tax breaks frustrates many people, but defended it as a necessary evil for economic development. Johnson & Johnson is based in New Jersey and posted $70 billion in sales last year. Its consumer division currently has an office in Cumberland that works with Woonsocket-based CVS Health, a major seller of the company’s products, which include Band-Aids, Tylenol and Listerine. It also has a sizable medical-device factory across the border in Raynham, Massachusetts. Johnson & Johnson plans to start hiring for Providence just after the new year, with plans to open the office by the spring, Raimondo’s aides said. The new office will initially be located at One Ship Street, a property owned by Wexford Science & Technology, the developer that reached a deal last week to build a new innovation complex on the old I-195 land; Wexford is receiving about $1 million in tax breaks to renovate the building. Raimondo said she hopes Johnson & Johnson will make the Wexford complex its permanent home once that facility is ready, though she said the decision will be up to executives there. She said the company has similar offices to the new Rhode Island one in Limerick, Ireland, and Sao Paulo, Brazil, and she hopes it will grow to a similar size as those. Johnson & Johnson’s interest in Rhode Island was first piqued last spring when Raimondo appeared on a panel in Washington at The Brookings Institution, a think tank that has advised her administration. Also on the panel was Johnson & Johnson Chairman and CEO Alex Gorsky, who Raimondo said told her afterwards he was intrigued by her description of Rhode Island’s potential. Raimondo said that conversation started months of discussions between state and company officials led by Sandra Peterson, a top Johnson & Johnson executive, including a meeting Commerce Secretary Stefan Pryor had during a trip to the U.K. A “turning point” in the talks, Raimondo said, was a State House meeting last summer where senior Johnson & Johnson executives met with officials from local colleges including RISD, URI, CCRI and Bryant. “The I-195 corridor is uniquely suited to support Johnson & Johnson’s new health technology center and Rhode Island gives us access to the economic development tools and university assets we need to stay competitive in the rapidly growing health tech space,” Wrenn said. That was also another sign, she argued, that tax breaks are “necessary, but insufficient” to attract companies. Raimondo said she’s hopeful more companies will announce new commitments to Rhode Island next year, though she also emphasized that she spends a significant amount of time talking about expansion with businesses that are already in the state. She singled out Electric Boat as a key example, noting the company provides good-paying jobs to workers who don’t have a college degree. “As I go into 2017 I have to stay focused on creating jobs at every level,” she said. PROVIDENCE — As numerous House leaders and senators have called for an inquiry into the Russian hacking of the November election — among them, Rhode Island Senator Jack Reed, who released a joint-statement with New York Senator Charles Schumer, Arizona Senator John McCain and South Carolina Senator Lindsey Graham calling for a serious investigation into the cyberattacks — Rhode Island Congressman Jim Langevin, who has made protection against cyber threats a top priority, weighed in on the news of Russia’s election interference. Langevin identified three means by which Russia could have interfered with the November election. The first: by hacking into the U.S. voter registration system. In October, it was revealed that Russia had made attempts to hack the computer systems of the Democratic National Committee (DNC) and had attempted to hack into the U.S. voter registration system. “They were trying to undermine confidence in U.S. elections,” Langevin said. He added that there had also been concerns that Russia was trying to hack into the U.S. election system to alter election results. “There’s a danger that a nation-state could actually penetrate into our system and prevent or mess with the vote total,” he said. Currently, there is no evidence that any outside entity achieved success in penetrating the election system to alter vote counts, Langevin explained, adding that the system is not actually connected to the internet. On Dec. 9, the CIA conceded that Russian intelligence agents had procured thousands of confidential DNC documents and private emails, which were then leaked throughout the months leading up to the November election, sabotaging the Democratic Party. In the wake of the news of Russia’s interference with the election, president-elect Donald Trump has made a slew of comments indicating that he distrusts U.S. intelligence agencies. “It’s troubling to hear president-elect Trump all of the sudden casting dispersion on the motivations of members of the CIA,” he continued. He added that he hopes Trump will take the time to look more objectively at how the CIA derives its intelligence. Although Russians have taken aggressive steps toward other countries in the past, Langevin added, this case is unprecedented. These kinds of cyber attacks can hopefully be prevented in the future, Langevin said, through electronic as well as diplomatic actions. He added that the U.S. shouldn’t be afraid to levy sanctions in response in order to such hacks to send a strong message. Langevin, a member of the Homeland Security and the House Armed Services committees, said the United States makes more use of and is more dependent on the internet than any other country, making it a highly vulnerable target for cyberattacks. Educating its citizens in the fields of computer science and technology is one tool the U.S. should utilize to protect against cyber threats in the future, Langevin said. He lauded programs like CS4RI, Rhode Island’s initiative to have computer science taught in every public school statewide by December, 2017, and CyberCorps, a scholarship program aimed at attracting students to the fields of cybersecurity and information assurance. In their bipartisan statement, Reed, McCain, Schumer and Graham identified the need for Democrats and Republicans to work together to ensure such cyber attacks come to an end. One of the Congress’ top cyber advocates on Friday called on House Speaker Paul Ryan to create a special cybersecurity committee that would lead an investigation into Russian hacks aimed at disrupting the 2016 election. The proposed select committee would cut across jurisdictional lines to “investigate pressing cybersecurity matters, starting with Russian interference with the election,” according to the statement from Rep. Jim Langevin, D-R.I. The FBI now agrees with a CIA assessment that Russia’s interference in the election was aimed at helping President-elect Donald Trump win, rather than simply sowing chaos, according to a Washington Post report out Friday based on anonymous sources. House Intelligence Chairman Devin Nunes has declined to launch a special investigation into the election-year hacks, while Ryan has not taken a firm position on the question. 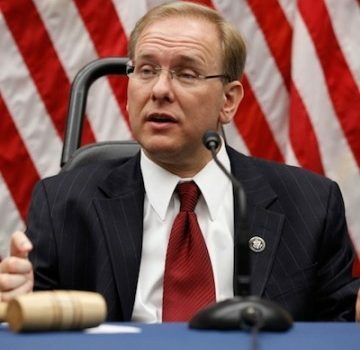 “I believe a Select Committee on Cybersecurity is the best way to streamline oversight and ensure a thorough, fair investigation into this disturbing attack on our democracy,” said Langevin, who co-founded the House Cybersecurity Caucus and has served on major House panels with cyber jurisdiction, including the Armed Services, Homeland Security and Intelligence committees. The call comes a day after losing Democratic nominee Hillary Clinton reportedly attributed the breaches at the Democratic National Committee and Democratic Congressional Campaign Committee to a “personal beef” between herself and Russian President Vladimir Putin over her assertion while secretary of state that Russian parliamentary elections were rigged. She said the breaches contributed to her losing the election during a meeting with campaign donors. Clinton also reportedly endorsed a 9/11 Commission-style investigation into the breaches. President Barack Obama also pledged a response to the Russian hacking in an interview with NPR posted Thursday, saying the response would be both “proportional” and “meaningful.” Vice President Joe Biden previously made a similar pledge. Obama said he has spoken with Putin directly about the breach.